Now that you know how to take guest posts and let contributors manage from frontend, you may be wondering if there are further ways you can utilize the contributors to your site for your business. You may wonder there may be more ways a guest can benefit you. The good news is we have an idea for you – register guest users! As the owner of a business, you clearly do not want to miss out on golden opportunities that can help grow your venture. Because you never know when you hit the Jackpot through your users, even if that means guests who only visit your website once. For your website, it is essential that it is not just user friendly and intuitive but also designed in a way that generates profits for your company in terms of revenue and/or user growth. And now there is a way to retain guest users so they keep coming back to your site. Through WP User Frontend plugin you can register and retain your users effortlessly. The reason why you need to generate leads is simple: – these guest contributors can be your subscribers to our blog and newsletters, they can become referrers through whom you can obtain more contacts, and they can also be converted to your customers. Registering your guest users would also increase your contact list which you can later utilize for various purposes. For example, invite to participate in your events and workshops, ask to be referred to acquaintances who would be interested in your service or products, invite to follow your company on social media platforms, subscribe to your blogs, and even receive coupons. When you give editing privilege to guests, you are allowing your guests to come back and add or edit their posts. This essentially keeps bringing them back to your site to check back on their published posts. Moreover, guests with editing access can even reply to comments from other users on their posts. Guests will be able to directly comment from their accounts and others will be able to view the name of the publisher. 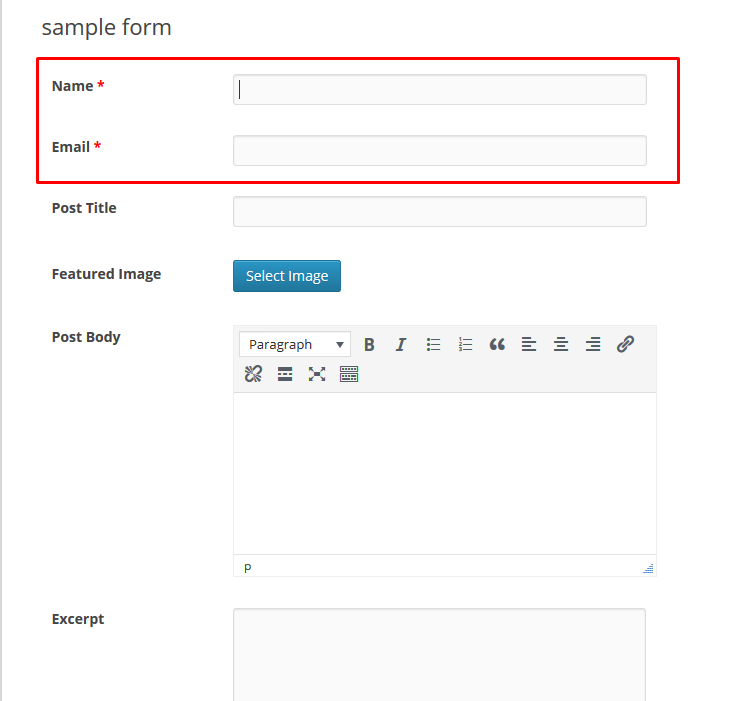 First you select a predefined template or a blank form and create a form on anything you like. Visit Settings tab beside Form Editor when you are done creating your form. Under Post Settings, click on Guest Post and select Enable Guest Post to allow guest submissions. 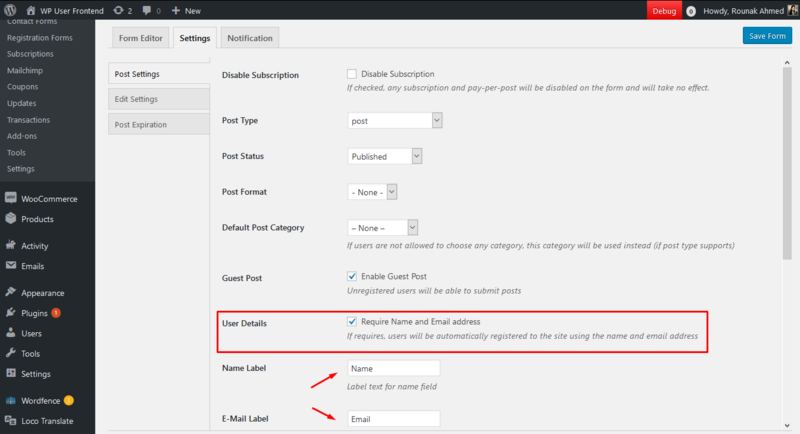 Selecting this option only will allow your guests to publish posts without registration. To register your guest users, select the option Require Name and Email address beside User Details. This option comes up when Now you will be able to automatically register your guest users to your site. This is how your guests will view the form from the frontend. They will be required to enter their Name and Email and this will automatically register them in your site, without having them go through a separate registration form. What if you want your guests to edit the information they enter in their posts? Because you would want your guests to keep coming back to your site and be able to respond to comments. 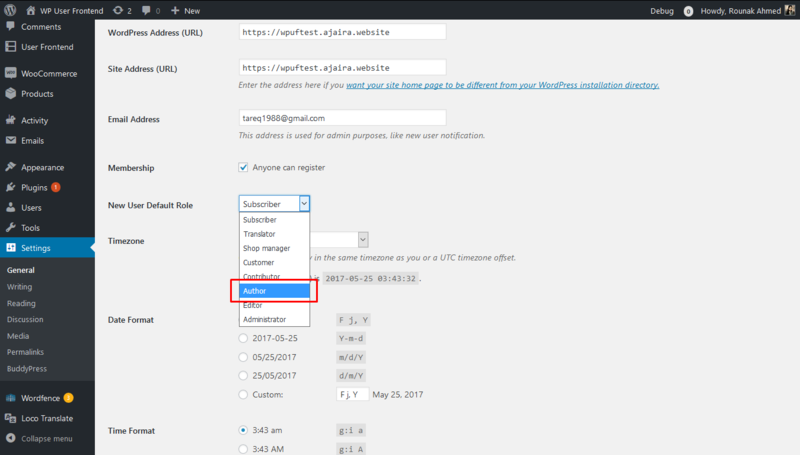 By default New User Role will be selected as Subscriber on your WordPress dashboard Settings. Subscribers have the least access to your site. They can only browse your site like a normal reader would. Contributors are able to publish posts but cannot edit. On the other hand, Authors can edit their own posts and even reply to comments that come to their posts. Thus it boils down to this: to allow your Guests access to edit their own published posts, select the option Author. Simply go to your WordPress Settings>General>New User Default Role and choose Author. The whole idea about Guest Posting is to let your users and readers feel a positive push to contribute to your business. 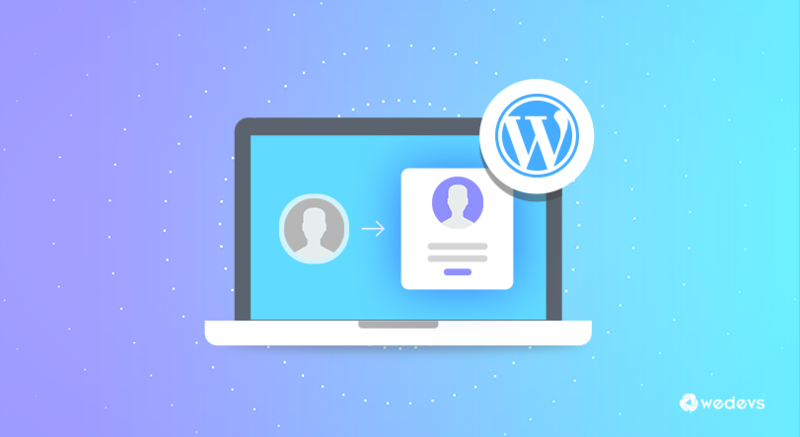 The WPUF plugin not only allows guest posting but also allows you to choose to register your guest users easily without an extra effort on either side. Thus it makes easier development of user-generated content for your site and also generates leads for your business. WP User Frontend comes with all the essential features for creating, editing, and publishing forms. Both the FREE and PRO versions have Guest Posting features. But what about there password? Guests are signed up without setting password. How do they log back in? If a guest user wants to edit his post, he will first need to reset his password. The guest user needs to go to the usual log in page of the site, and click on ”Lost your password?” to set up a new one. A reset password request link will be sent to his email and he will be able to log back in. i want to implement guest login functionality for my http://www.cgpsc.info site. please help me.